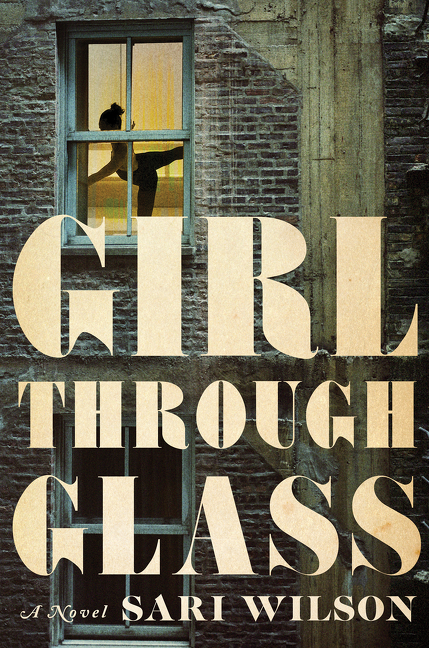 Sari Wilson is the author of the novel Girl Through Glass, which is now available in paperback. 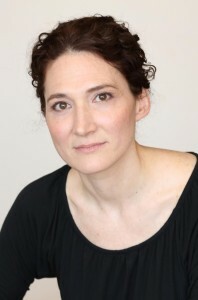 She also co-edited the book Flashed: Sudden Stories in Comics and Prose, and her work has appeared in a variety of publications, including Agni and the Oxford American. She lives in Brooklyn. Q: How have readers responded to the book and to your characters Mira and Maurice? A: Well, it’s been great. Girl Through Glass was nominated for the Center for Fiction Debut Novel Prize, an incredible honor, and called out by publications from BuzzFeed to Glamour to Bustle to Refinery 29 for being a notable book of 2016. I’ve also gotten some good response from the dance world, such as dance writer Jean Lenihan’s complex and beautifully written review in LARB. For the book to be well received by these two communities I care deeply about—the literary community and the dance community—it’s been so meaningful and encouraging. The responses to Mira have been almost uniformly positive: people feel captivated by her and also protective of her. Many see themselves, their youthful ambitious selves, in her. And she intrigues a lot of people around issues of ambition, parenting, body image, feminism. The response to Maurice has been more complex. Most interviewers ask whether there was a Maurice in my life and they seem quite concerned. So I have to be clear: his character is fictional, a composite taken from legends of balletomanes, historical research, and my imagination. Q: Are there any novels about dance that are particular favorites for you? Astonish Me by Maggie Shipstead is so good and so well-crafted, kaleidoscopic. The Crane’s Dance by Meg Howrey, who was a professional dancer, is wry and moving, and has a real insider’s perspective. I also really loved Dancer by Colum McCann, which uses the life of Rudolph Nureyev as base for all kinds of exploration into post-World War II Cold War history. I recently read Terez Mertes Rose’s new novel Outside the Limelight and loved its heart and craft. Outside the Limelight got an indie choice in Kirkus. I also have Zadie Smith’s Swing Time on my night table. A: Well, I started out trying to write a memoir about my childhood ballet experience. Ballet was my great young love. After I stopped training that whole part of my life became locked in a very private place. One day, I sat down and wrote what is now the entire first part of the novel—and then I cried. So I knew I had something. But it took me many more years to figure out that it was really fiction. My own experience wasn’t that unique—which was interesting in itself. When I realized this, a bunch of characters started coming to me and I took them and ran. The same happened with the Kate character, who came later. Q: The book switches back and forth between the late '70s/early '80s and today. How much did you plan out the structure of the book before writing it? A: First I wrote Mira’s storyline, which took me a bunch of years. I showed it to someone in publishing, a YA editor, and she said it was clearly an adult novel. Then Kate’s voice started coming to me—really just speaking to me. So I spent another number of years writing her story. I realized how the two—Mira’s and Kate’s—stories were connected as I went along. Kate’s story had a mystery element, which felt like gave the whole book some structure and I spent a long time trying to get that right. At that point I made charts to try to get a handle on the structure. It felt like I was reading the book in a way as I worked along. This was the most exciting part of the process—with these two voices it suddenly felt like a book. That is, a work with its own internal logic and language—and it was teaching me how to write it. Q: You said you based the sections set in the 1970s and ‘80s on your experiences—did you also do research on the period? A: I didn’t research the ‘70s in New York City; that was my childhood and so that aspect was based on my memories. I also grew up in Brooklyn—in the house in the book is based on. My parents bought a brownstone that was in total disrepair and hadn’t been touched in 80 years. My whole childhood was wrapped up in bringing this house back to life. Unlike Mira’s parents my folks never abandoned the project—they are still together. But I knew a lot of kids with divorced parents in the 1970s and 1980s and Mira’s situation echoes a lot of what I observed during my childhood. Q: Do you still dance now? A: I danced through college until I had a career ending-surgery and around the same time I started to write fiction seriously. Now I realize that I was in effect transferring over my aspirations from one art form to another. Though I don’t dance anymore, I am a body person and a kinesthetic learner—everything I learn is processed, for better or worse, physically. I do Pilates, yoga, Alexander technique, so I feel like I am still engaged in the questions of dance, at least on some level. A: The title for me has a number of resonances—Alice’s Adventures in Wonderland and Through the Looking Glass, and the idea that one world contains another world, which contains another world and the rules of living depend on which world you fall into. That sense of disorientation and ambition are guiding, and perhaps paradoxical, aspects of Mira’s experience. Also, the idea of the visual motif of glass became kept coming up as I was writing—the glass enclosure Maurice puts Pavlova’s shoe in, and mirrors of all kinds, of course. I began to understand that I was writing about the way we see ourselves, how others see us, and what it really is to be seen. Q: Do you see this more as Mira’s story or as a universal story about women in ballet? A: Both, really. It’s really Mira’s story—she is a particular girl and the book took off when I began writing about her and the specificity of her experience. At the same time, there is much in Mira’s experience that translates to all dancers——their struggles, ambitions, and sacrifices—and perhaps women’s encounters with a certain ideal of beauty. I wanted the book to contain something larger—questions about being a woman. Ballet seemed a perfect crucible for the pressures girls face. Q: You also have another recent book out. What can you tell us about it? 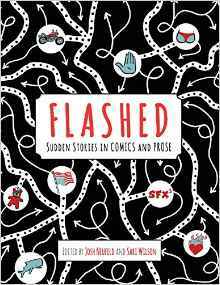 A: Flashed: Sudden Stories in Comics and Prose is an anthology of flash fiction (very short fiction) edited by myself and my husband, cartoonist Josh Neufeld. It’s also kind of an art project: a creative jam session between cartoonists and prose writers. Basically, we sent comics to prose writers and prose fiction to cartoonists and asked each to creatively riff off of some element—it could be a character, a theme, an image—to create an original piece of fiction. We left it very open-ended. We had so much fun creating a “dialogue between forms” and working with cartoonists and writers we admire! We are grateful to Pressgang for publishing this unique, beautiful book. You can read more about the project here. A: Right now I’m enjoying writing essays connected to this novel—I just finished one about ideals of beauty. I published this essay in The New York Times about my daughter being in The Nutcracker and the complicated feelings it brought up for me. And this one for Catapult about going from being a dancer to a writer. I do have another novel in the works, but novels are so demanding. It will be waiting for when have space to get back to it. A: The question of Maurice’s character. I get so many questions about him and what he represents. As a child dancer there is so much power in your body but it’s so much of it is out of your control. I wanted to explore this paradox and I think he emerged out of that. Along the way, he became a very human character to me. I don’t see him as a monster. I see Mira and Maurice as damaged people trying to heal themselves. --Interview with Deborah Kalb. For a previous version of this Q&A, please click here.